Overwhelmed by React? Don't Know How to Connect the Dots and Build Something Bigger than a To Do List? Learn how to build 3 advanced React projects from scratch using React Router, TypeScript and Mobx. After doing Wes Bos’ ‘React for beginners’ course I wanted to continue developing my React Skills and this workshop was the perfect follow-up! Find out exactly what you will build inside of the course. Some of the questions answered in this course. How to use React with Google Maps API. How to filter data based on multiple criteria. How to render custom markers and more. How to scroll to the right element and more. How to use CSS transitions to create a better user experience. How to load data using Fetch API. How to keep your state under control. 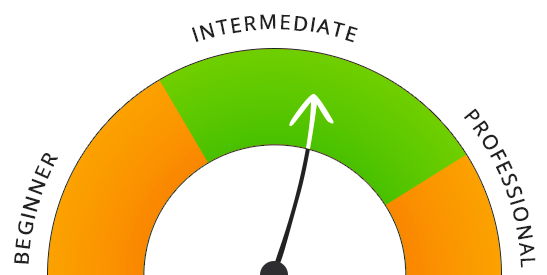 How to use the right lifecycle methods. How to use higher order components. How to use MOBX to manage your application state. How to use Firebase to store data in real time. How to manage more complex data in your app. 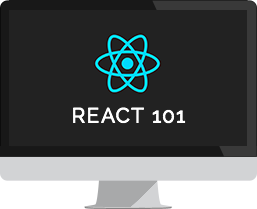 Did you like React 101? The React Workshop is a perfect follow-up to React 101, if you liked it you will love this workshop. Anyone with a working knowledge of HTML5 and CSS3. Professional front-end developers trying to learn what’s hot and boost their skill set. Anyone who ever tried to use React and found it too overwhelming. Explain React API by building practical demos step by step. Build 3 advanced projects from start to finish. Learn how to manage data in more advanced applications. Learn by doing, follow Petr step by step, line by line. What do you need before start? I highly recommend using VSCode and follow me step by step. I have been using React on many commercial projects for a while. It is a perfect library for dynamic, interactive UI and most importantly it is the best library for a fast user experience. Mastering React will open endless possibilities for your new client project and your next career move. Watch the first 5 course videos and if you are not completely satisfied, you can enjoy my 14 days 100% money back guarantee. Simply contact me for a prompt refund. 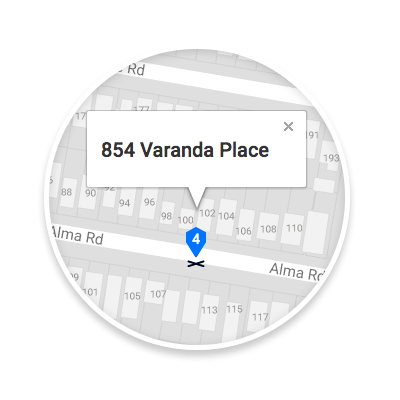 Learn how to build a Google Map component using React.js. Learn how to build an interactive ABC Quiz with React.js. I would highly recommend it if you are done with the basics of React and looking to upgrade your skills with a complex real world portfolio project. Have a few questions? No worries. Can I upgrade to Master Combo from GreenSock Combo? Yes, if you have purchased GreenSock or Animation Combo you can upgrade to Master Combo! Simply login and you should see the updated price at the checkout. If for any reason you don’t see the discounted price and you think that you are eligible, please get in touch. No, video files are not available for downloads. You need to be online and logged in to my site to be able to follow this course. Do I need any React experience before signing up? Why should I learn React.js instead of Angular.js or Vue.js? React.js is used by some of the most popular online apps such as Facebook, Instagram or AirBnB. Knowing how to use React will open a whole new spectrum of possibilities for your own project or your next career move. What software do I need to complete the workshop? All you need is a code editor (I am using VSCode). You can download the starting files and follow me step-by-step from start to finish of each project. For any other questions use the Get In Touch form or hit me up on Twitter @ihatetomatoes. Do you want to master React? I tried numerous others on Lynda.com and youtube and nothing stuck until I went through your playlists. Purchasing this course was a win-win for me. I learn, and I can offer support and remuneration for all of the hard work that went into your tutorials. This course helped me land my first job working with React full time. The course has a great pace, you’ll build an interesting application with loads of real live uses and personally I was immediately inspired to start building some applications on my own based on what I’ve learned. I’m genuinely happy I did this course and would recommend it to anyone looking to learn and get inspired with React! Great Tutorials, Petr is very clear in his teaching. Each project builds after the other. A lot of tutorials out there are outdated and give you a bunch of pieces. Petr gives you complete professional projects. He shows you how to debug and offer challenges. This is a great course for those wanting to up their skills on React. The course uses a real world example and not another todo list. The length of each video is perfect and enough information is provided. I’m a father of five and the videos are long enough for me to learn, but also short enough that I don’t feel like I have to rush so I can get back to dad duties. Gorgeous animations. Beautiful aesthetics. This is the rare React course that focuses on the small user interface details that other don’t. The project is thorough and yet there is not a single moment of boredom. The pace is rapid and upbeat. Petr clarifies things in a succinct and economic fashion. I love Petr’s courses both here and on youtube. His style of teaching makes it easy to learn new technologies, like React. You can’t be lost, that’s what i value the most – all the new concepts and steps are thoroughly explained. I really like this Petr’s advanced React course. Many new things to learn. Great and interesting projects. I am looking forward to use the combination of React and Google maps from the first project in my own project! I highly appreciate Peter’s pick of Mobx as state management instead of Redux (like another tutorials). For me Mobx is so much easier to pick up and get my head around it. Petr even include Typescript (although that’s not strictly a React thing). I didn’t like it too much at start, but I started seeing benefits later on. These tutorials are really good! I knew a lot of react already but hadn’t really played with firebase before and I learned a lot. If you are interested in either React or Firebase I would highly recommend Petr’s tutorials. What I love about Petr’ courses is the pace. He delivers the content in a manner that is neither slow or fast, clearly articulating what and why. I find Petr’ teachings to stay in mind when transferring this knowledge into my own projects compared to the other React courses I have completed. I love how Petr shows the errors and then how to correct them. This is a key aspect to why I chose to purchase Petr’ React courses, on top of other React courses I have already completed. What I love about this course is how much it feels like a real world project. Instead of focusing purely on repeating the basics and another to do list, Petr walks you through how you would use react as if you were in a studio, showing you what you would need to do to connect your app with an api or server like firebase. It’s always been something I’ve been unsure on how to move forward and I feel like this has been a great help in my understanding of what react can really do. Petr is very good at explaining what the code is doing and how we can achieve the results we are looking for. Overall, Petr is very knowledgable and this was a fun project to create. Highly Recommend! I’m so happy to have found this course! Petr is excellent! Now that you are at the bottom of the page, why not to do some clicking instead of scrolling and reading?